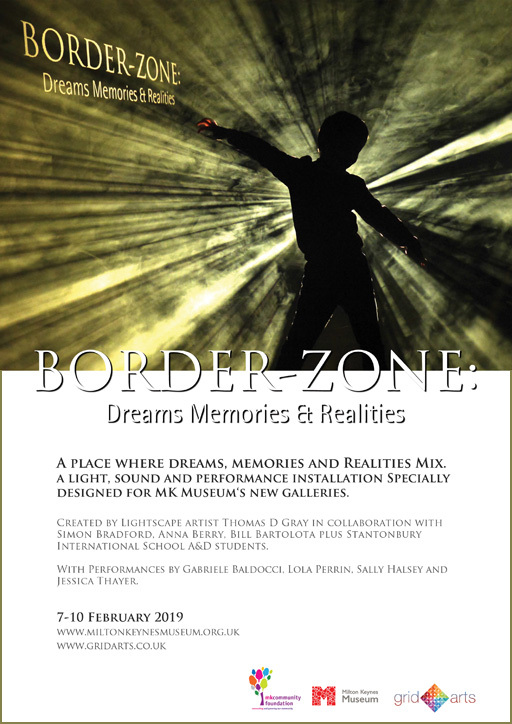 MK Museum and Grid Arts presents Border-Zone: Dreams, Memories & Realities a light, sound and performance installation event created by Lightscape artist Thomas D Gray in collaboration with Simon Bradford, Anna Berry and Bill Bartolotta and with performances by Motus Dance, Gabrielle Baldocci, Lola Perrin, Sally Halsey and Jessica Thayer. 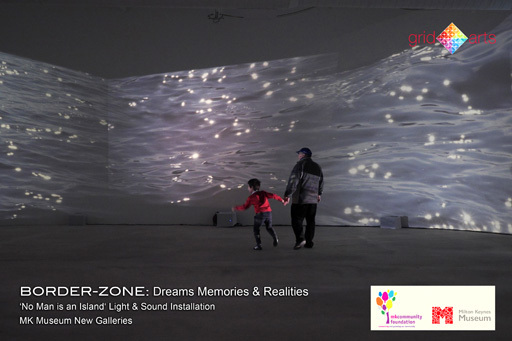 Border-Zone, a space where sounds and music blend and collide in 360 degrees while images transforming the space around the viewer is actually 7 separate projection based installations covering two large gallery spaces, one white and one black totalling over 750 m². 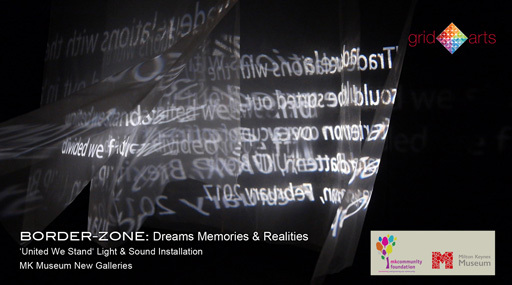 Designed to evoke dreams, memories and thoughts which heighten our sense of reality. Usually an internal and private affair, we now live in a world where ‘alternative’ realities are increasingly shared publicly promoted as truth by those with more extreme political agendas. 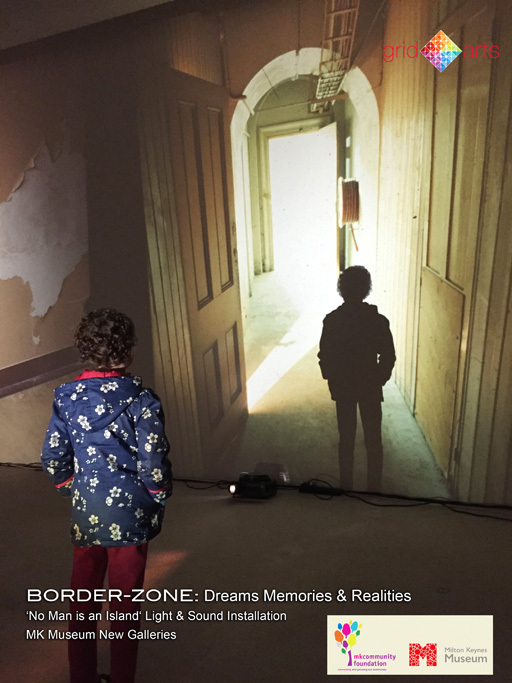 A great success, Border-Zone had over 700 visitors during the final 2 days of the event and is now available to transfer to other locations. Please get in contact for more information. 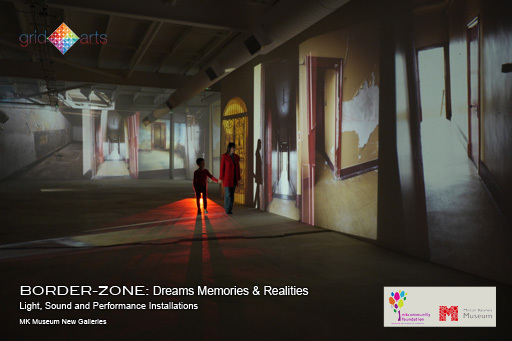 Performances also took place in the installations transforming and bringing them alive. No Man is an Island - White Gallery. 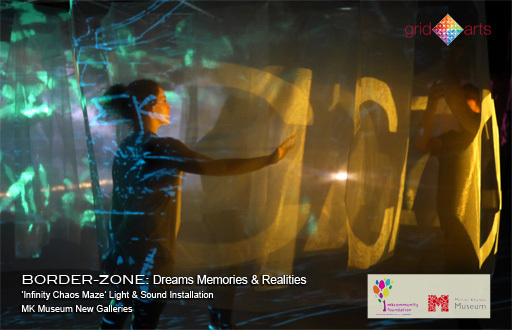 Large-scale projections surround visitors. No Man is an Island - White Gallery. Water becomes doorways. No Man is an Island - White Gallery. Shadows allow visitors to enter another place. Infinite Chaos Maze - Dark Side Gallery. 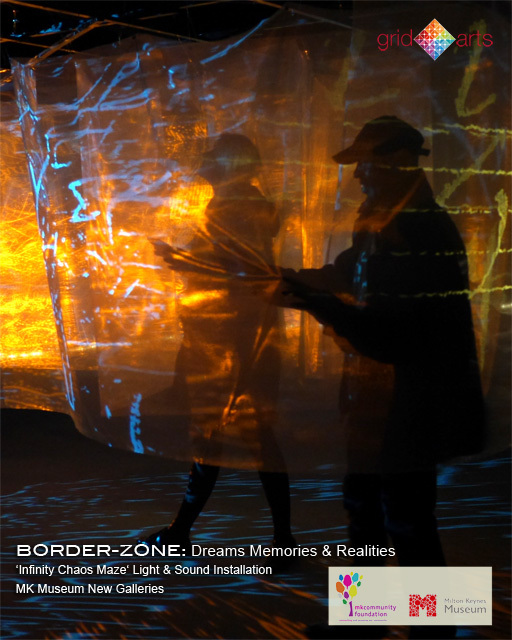 Visitors are invited to explore the maze. Infinite Chaos Maze - Dark Side Gallery. The maze continually changes and evolves.